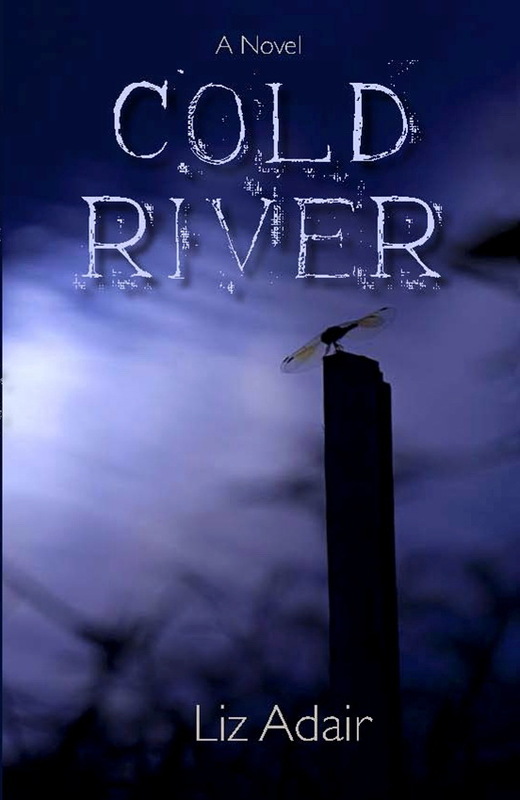 Liz Adair has a new book out, Cold River, a fast-paced romantic suspense novel that grabs you from the first page, and keeps you on the edge of your seat as you ride the current of this mystery. Who is trying to run her out of town and which man will win her heart? 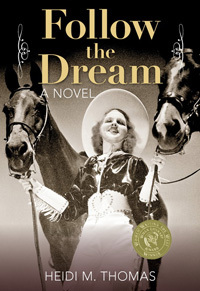 Liz has had six novels published, including the award-winning Counting the Cost, based on family history. She lives in the Pacific Northwest, where her latest book takes place. Liz, you’ve set your story in the fictional town of Limestone, Washington. Tell us why you chose this locale. People like to read about exotic places and cultures that that are different from where they live. Face it, I’m never going to visit the Riviera or Paris or Budapest. But here’s a place right in my back yard that has great potential to be, if not exotic, at least different. I based the town of Limestone on my memory of the town of Concrete as it was when I taught school there in the 1970s. That was before the proliferation of cable TV, so reception came through antennas. I think there wasn’t much of a signal that far upriver, and the leveling influence of television hadn’t yet eroded the local culture. Your main character, Mandy, feels out of her element in this small-town atmosphere. But she finds satisfaction in teaching a woman with dyslexia how to read. How prevalent is this among adults? Have you had experience in this field? I was a reading specialist my last few years of teaching, but that was with school-age students. I have only taught one adult to read, and I can’t say how prevalent dyslexia is among adults. I do know that the fellow I taught to read was adept at hiding his handicap and found ways to compensate. I didn’t know about the Ron Davis book The Gift of Dyslexia when I taught him. I was introduced to it by someone who uses the Davis method in teaching dyslexic students. You talk about the “Tarheels” who live in this area. Can you explain what that refers to? Spanning several decades during the early 1900s, many families from North Carolina migrated to the foothills of the Cascades along the Skagit River: Sedro Woolley, Concrete, Marblemount. They brought with them their music, dances, seeds and speech patterns. Traces still remain in the area, but thirty years ago, particularly upriver, the Tarheel culture was stronger, and you could still sometimes hear a slight twang in the spoken word. You’ve used some rich colloquialisms from these natives, such as “I love you like a mule a-kickin’.” And you’ve also used words from the Lummi Indian Nation. Tell us how local slang and idiosyncrasies can enhance our writing. I think local slang and idiosyncrasies can enhance our writing if two things are operative. First, the use has to be unforced. It has to flow naturally and not be shoehorned in for window dressing. Secondly, I think it has to be presented with respect, not as a way to get a cheap laugh. I have to tell about something that happened one time while I was teaching in Concrete. I had been appalled to discover that few, if any, of my students knew what Camelot was, so I organized a full-court press to try to expose them to as much ‘culture’ as I could. One day in the spring, I asked if anyone knew where to find morel mushrooms. Almost every hand went up, and a young man who, until that time, had been reticent told me in great detail where to look for morels. I realized then that these kids weren’t deprived. They were simply enriched in different areas than I was. I was comfortable in books; they were comfortable in the woods. Music also plays a large role in this story, both jazz and bluegrass, and music is used as an innovative way to teach mathematics. Can you elaborate on these subjects in your book? I didn’t mean for this to happen, but in the book, music becomes a symbol of the difference in cultures between Mandy and the people of Limestone. It’s also a bellwether of Mandy’s attitude change. She plays jazz, you see, and regards it as an intelligent form of music that allows, through improvisation, for musicians to express their individuality, and she looks down on bluegrass as hillbilly music. As far as the teaching of mathematics through music, I did a little experimentation with that when I was in the classroom. Knowing that it’s easier to memorize when things are set to music, I tried it with the times tables. I don’t know how successful it was, but that’s the wonderful thing about fiction: you can have your hero succeed where you may have failed. I felt that the brilliant thing about the program they had going in the book was that it would address auditory and kinesthetic learners’ styles of learning. Other than the exceptional historical novel Counting the Cost, you seem to specialize in mysteries. Is that your favorite genre? It must be. With Cold River, I set out to write a romance, but I just can’t get away from a puzzle, I guess. Are you working on a new project? Yes. 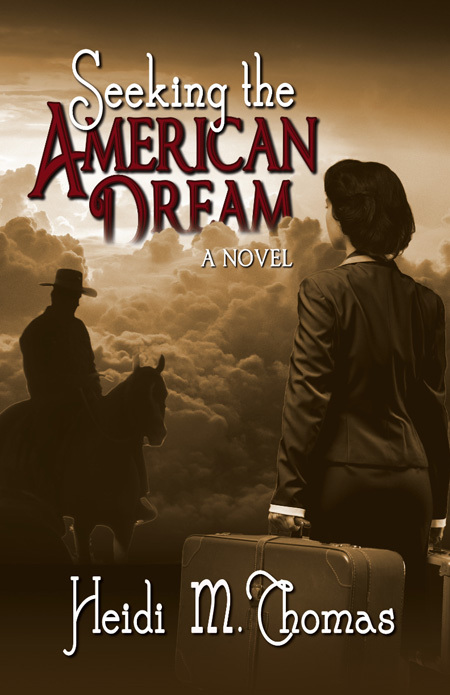 I’m working on another romantic suspense, this time set in the high desert of Nevada. It’s got opal mines, off-road racing and flying cars in it. 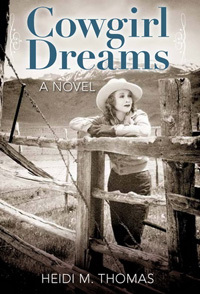 For our readers in the Skagit Valley area, Liz will host a launch party on Dec. 8 at 7 p.m. at the Sedro Woolley Library. Door prizes will include books and homemade apple pies, and she will have copies of Cold River for sale. What am I thankful for this Thanksgiving holiday? 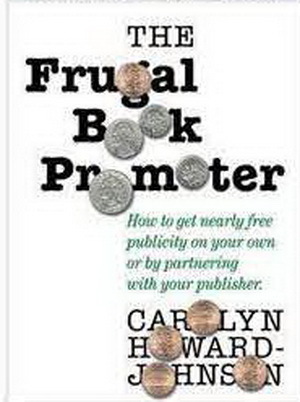 I trust Carolyn Howard-Johnson’s Frugal Book Promoter for promotion advice so today I’m helping her celebrate the release of the second edition and its recent availability for Kindle (www.budurl.com/FrugalBkProKindle) . Here is a partial excerpt from the multi award-winning Frugal Book Promoter. Make the most of a conference by planning in advance. You want to treat a conference like a garden and bring home all the ripe stuff that suits your palate. That means you have to organize. This section will help you do that. Without it you won’t be able to glean the most from whatever conference you choose. Bring a seven-subject notebook. Divide the notebook into sections that match your goals. These might include: Agents, Publishers, Promotion, Writing, and Other Contacts. Leave one section open for a category that crops up after you arrive. On each separator page tape a number ten envelope in which you slip business cards, bookmarks, mini notes to yourself, and small brochures. When you arrive home, part of your filing and sorting will be done. Take blank mailing labels to make index tabs that stick out from the edge of your notebook. On the first night of the conference, clip and paste separate parts of the conference handouts into corresponding segments of your notebook. At the back of your conference notebook make a directory section. Use the label index markers to delineate each one. o The first page is a name and address list for publishers. They should be listed in conference handouts but you may glean more from seminars. Star the ones you spoke to. Make notes. What have they published that is similar to your book? Jot down anything that will help them remember you when you write to them and mention your encounter. Query letters work best when you indicate you are familiar with the person or company being queried. Big Hint: When you talk to publishers always ask them what they do to promote their authors’ books. Pin them down to specifics. o The second directory page is for fellow authors. Jot notes on them, too. It’s no fun to arrive home with a useless business card. o Ditto for agents and for conference planners. You may be surprised at how often you’ll refer to this page. o A page for “Other Resources” includes information on anything from other conferences to books you’d like to read. o Designate a few pages for writing ideas. o The final pages are for new promotion ideas. Hint: Bring a small pouch of tools—I use one I received with an Estée Lauder gift-with-purchase. Toss into it color-coded pens, snub-nosed scissors (sharp ones may not get you through airport security), a small roll of cellophane tape, your index labels, paperclips, strong see-through packing tape, hammer, tacks, razor, ChapStick, hole puncher, breath mints, elastic bands, Band-Aids, and your personal medication. Don’t unpack this when you get home. You’ll need it in the future for other conferences, book signings, book fairs, and other promotional events. If you have a published book, take your bookmarks to give to others. And even a few books. Authors tend not to forget to give their books to people who are in a position to recommend it. Think in terms of gathering endorsements for your book to use in the future. You are building a network. 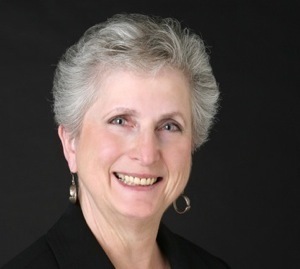 Carolyn Howard-Johnson is the author of the multi award-winning HowToDoItFrugally series of book for writers. Learn more about them at www.howtodoitfrugally.com. She also blogs writers’ resources at Writer’s Digest 101 Best Websites pick www.SharingwithWriters.blogspot.com. Follow her tweets at www.twitter.com/frugalbookpromo. And that new edition of The Frugal Book Promoter? 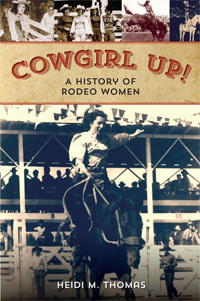 It just won a USA Book News award in its own right (for best business/writing book). Samantha wasn’t expecting what she got for Christmas this year. Her doorbell rang and there sitting on her porch was a baby in a basket. This changes her life for the good. But then something happens. The baby’s father comes for his child. How can Samantha convince him that she is the best thing for the child? 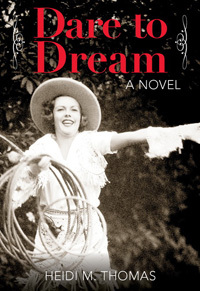 Ashlynn Monroe 4 stars: Lizzy was kind enough to give me a copy of her wonderful story. This book was a fun read and I enjoyed the theme. It’s sweet and romantic. 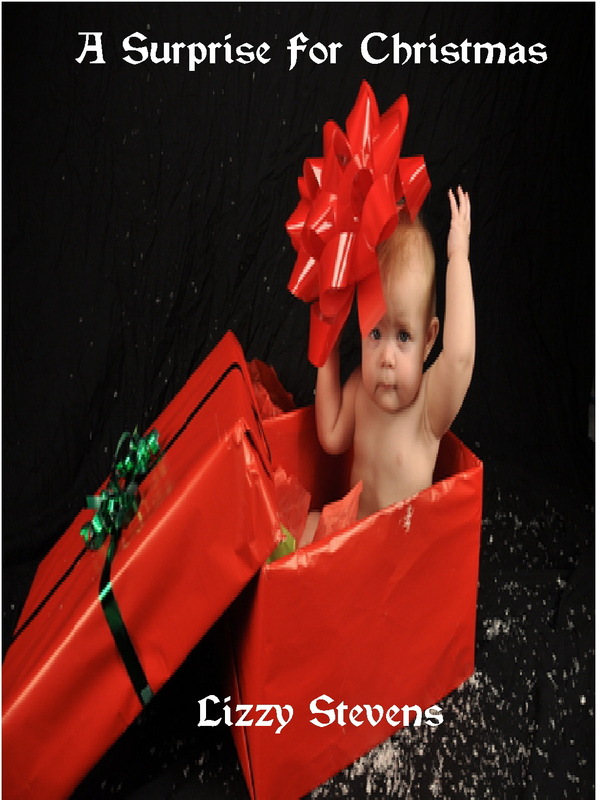 This book will surely enhance your holiday season and if you’re giving a e-reader to someone special this year I suggest purchasing a copy and loading it on the device for them. I hope you enjoy her work as much as I did. a baby on the doorstep to raise as your own. Kinda reminded me of the baby in a basket among the grassy reeds-a religious story. I rate this a 5, it’s just the right length and not too heavy, just a light story.